Last weekend we celebrated St. Patrick's Day with early morning beers and an evening housewarming party with our friends. 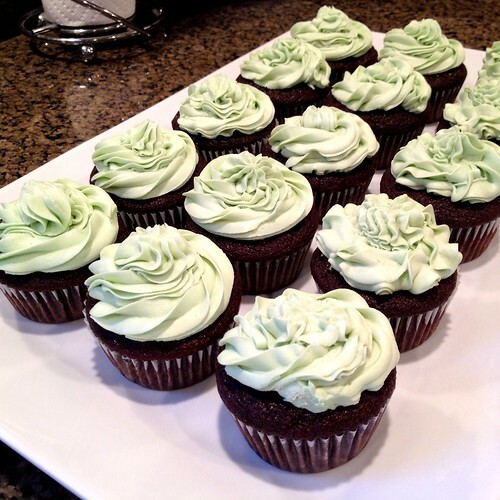 Since these friends are self proclaimed fans of my cupcake prowess, and it was St. Patrick's day, I decided to bring a special dessert to the party. 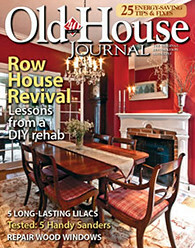 During last week's Pinterest Challenge I browsed through many of the nearly 700 submitted projects. One of the submissions that caught my eye and looked simply wonderful was a recipe for Irish Car Bomb cupcakes (along with her original source). 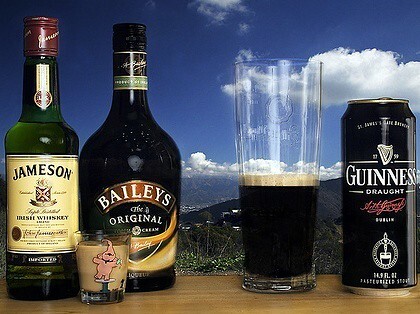 The thing is, until the week before the party, I had never experienced the drink known as an Irish Car Bomb. And coincidentally, the same friends who were hosting the housewarming party had been the ones to initiate me when we were out with them at a local bar. They ordered a "Car Bomb" for me and I nervously gave it a try. I'm not a big shots or chugging type of person, so it could have gone either way. Well, it turns out it's not that bad at all. In fact, I'm a fan. I figured there was no better way to repay the favor than to bring cupcakes inspired by the drink to their housewarming party. If you're not familiar, an Irish Car Bomb is a glass of Guiness that has a shot of 1/2 Jameson, 1/2 Baileys dropped into it. As the drinker of the drink, it's your responsibility to then drink the whole thing as quickly as possible. When they say "drink responsibly," I think they are talking about making sure you don't spill. Similar to the beverage, an Irish Car Bomb cupcake is a combination of the alcoholic beverages found in the drink, but baked into a cupcake. It is also necessary to consume it as quickly as possible. There are actually a ton of recipes all over the Internet for these cupcakes, but If you're interested in the recipe I used, you can find it on NicoleLitton.com (and she picked it up from Quick Feet, Good Eats). If you enjoy this recipe and you'd like some more specifics of how others have made them, be sure to check out both of these great blogs. 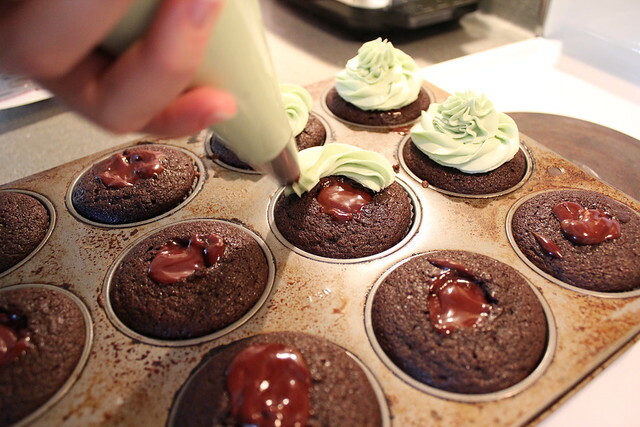 After our early morning St. Patrick's Day fun, I took a nap and sent Alex on a grocery store run to pick up the necessary ingredients for the cupcakes. We also had to borrow the necessary alcohol from our friends across the street, since we didn't have any on hand. Lucky for us, their liquor cabinet is very well stocked. Also lucky for us, Alex grabbed the last four cans of Guinness in the entire grocery store. It was a St. Patrick's miracle. 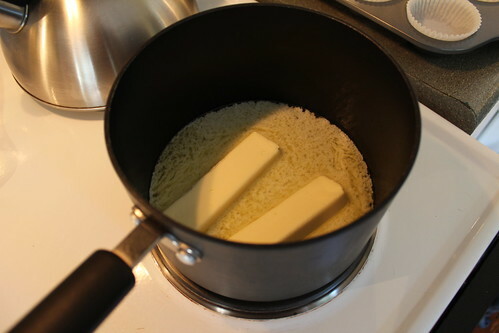 Before I started, I let the multiple sticks of butter sit at room temperature so they could soften up a bit. This is important for the five sticks of butter I would need for the recipe. Yes, you read that right, five sticks. This isn't at all a typical "Wendy" recipe. Just ask Paula Dean, she knows. 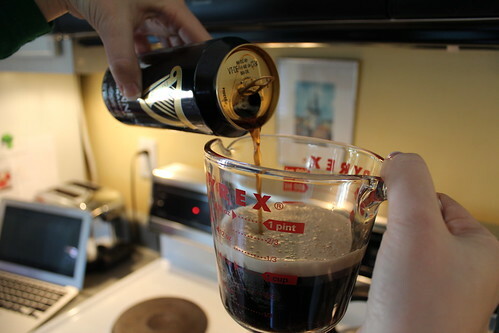 ...and then add one cup of Guinness (really any stout ale will work, but this is a car bomb cupcake, which sort of requires Guinness) and bring to a simmer. 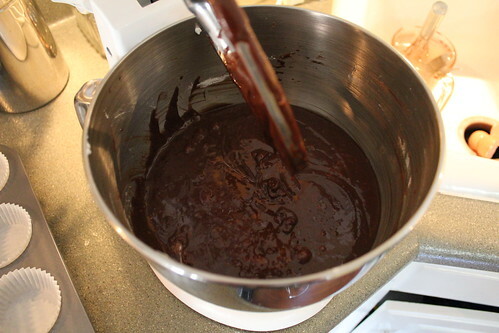 Once simmering, add the 3/4 cup of cocoa power and whisk while the mixture begins to cool a bit. Next up, combine the flour, sugar, baking soda, and salt in one bowl, and mix the eggs and sour cream in another bowl. 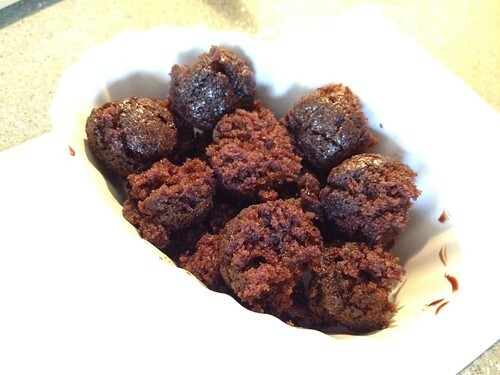 Briefly beat the eggs and sour cream in an electric mixer, add in the Guinness chocolate mixture while continuing to mix, then add the flour, sugar, baking soda, and salt mixture. This mixture forms the basic batter to form the cake portion of the cupcake. 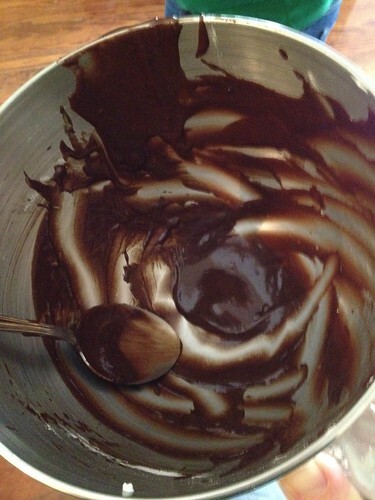 The batter was a dark chocolate flavor that wasn't too sweet, but had a hint of Guinness flavor. 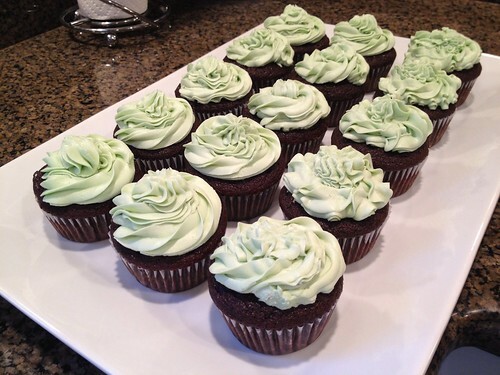 I was worried the Guinness would make the cupcakes taste a little bitter, but it added just the right amount of beer flavor so that you knew it was there, but you weren't overwhelmed by it. I scooped the batter out into my baking tins and popped them in the oven. The plan was to let them bake while I assembled the next ingredients for the chocolate ganache filling. I put the cupcakes in the oven to bake at 375 degrees for about 20-25 minutes. I checked them somewhat consistently since our stove is horrible and it is really important that they fully bake since you'll be coring them in a future step. Alex was my dishwasher and photographer during the process, and he was glad to clean out the batter bowl once I had spooned everything out (yes, there was a bit leftover, and he's a batter monster). 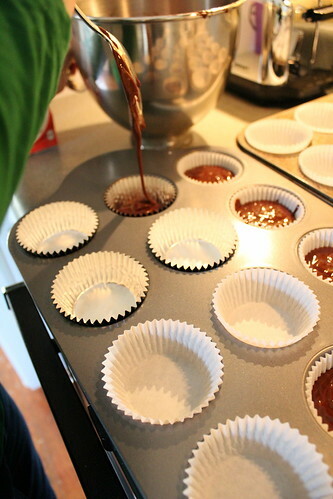 The next step was to make the chocolate ganache filling that would go inside of the cupcakes. This filling acted as the equivalent of a Car Bomb's shot being dropped into the glass of the Guinness. The recipe called for 1 1/2 cups of bittersweet chocolate chips. Unfortunately, Alex was unable to locate them, but found a couple of those 4oz Ghirardelli bittersweet bars (pictured above) that would work perfect since we needed 8oz total. 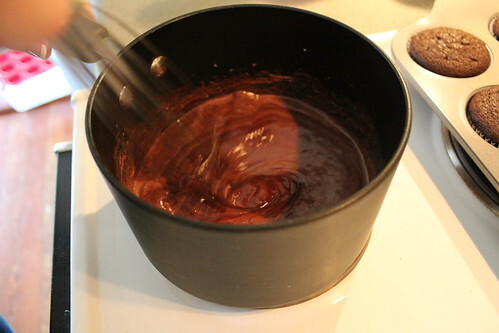 Creating the ganache was pretty straight forward. If you're using chocolate bars, you should break them into smaller pieces. 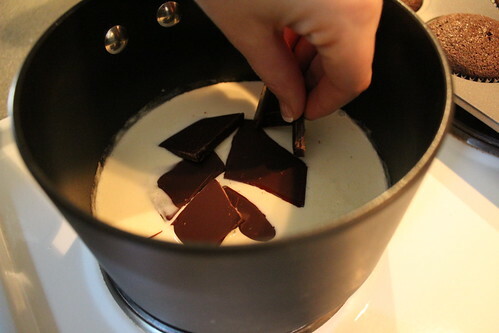 Then you just warm the 2/3 cup heavy cream to a boil and remove from the heat. Immediately take the broken up chocolate bar pieces or chips and add them to the hot cream, whisking it as the chocolate melts. 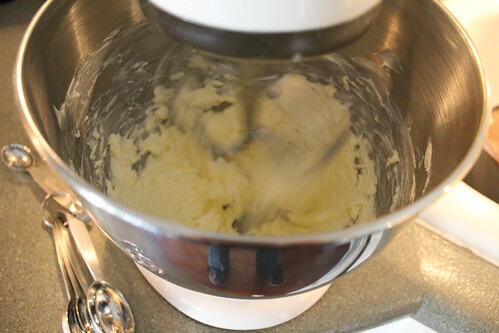 Once melted, add two tablespoons of unsalted butter at room temperature, as well as about eight teaspoons of Jameson (again, an Irish whiskey other than Jameson will do, but you're supposed to use Jameson). Continue mixing until everything is well blended. After the mixture had cooled for a few minutes, I transferred the ganache to a zip lock bag. I did this so I could put it in the refrigerator, and ultimately the freezer, to cool it faster so it would set up a little. I felt this was necessary because I was on a bit of a deadline, and just after cooking it, it was pretty much liquid and I needed it to be more firm to use it as a filling. 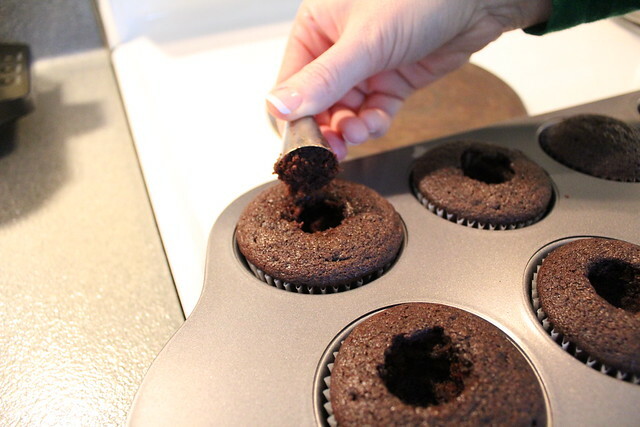 Then, sort of cocking the tip to the side while turning and lifting, I was able to pluck the center out of each cupcake. Using my finger, I patted down the inside of the hole to give the ganache a good pocket to sit. I did this to the 24 cupcakes I had made and ultimately had a decent collection of "cake holes" set aside that Alex and I tasted for quality assurance purposes. Our results? I assure you, that Guinness cake is quality! 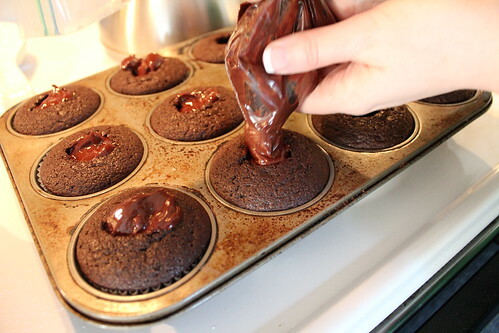 Once each cupcake center was removed and the ganache had sufficiently cooled, I snipped the edge off of the plastic bag to "pipe" the ganache into each cavity. A word of caution. When I started to pipe the first one, there was sort of a lump in the corner of the bag. 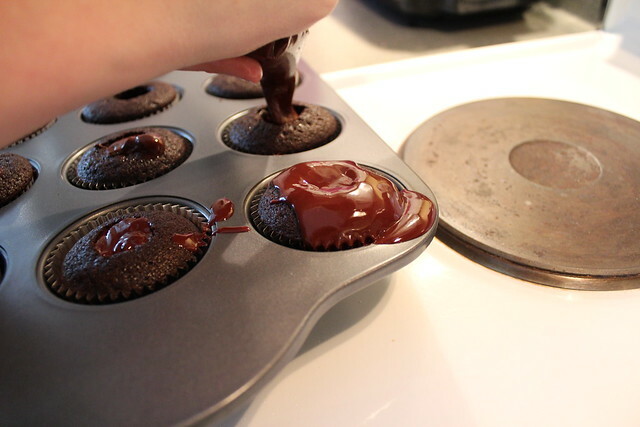 That lump dislodged and the still liquidy ganache shot out all over the first cupcake. 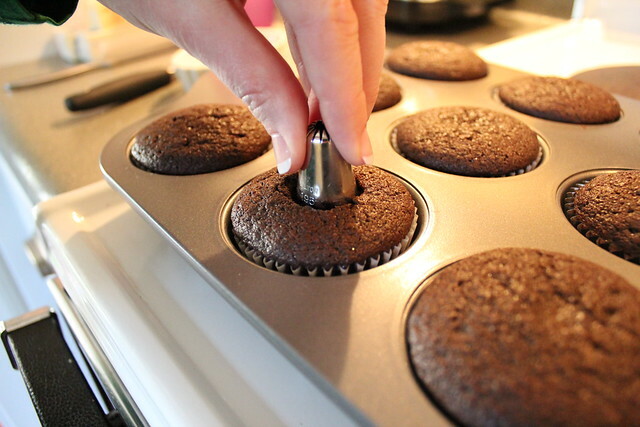 In other words, don't apply too much pressure when filling your first cupcake. I got the hang of it after my first mishap, and then got into a groove. All of the cupcakes were filled before I knew it. I put the cupcakes back into the fridge so they could cool and setup a bit more. 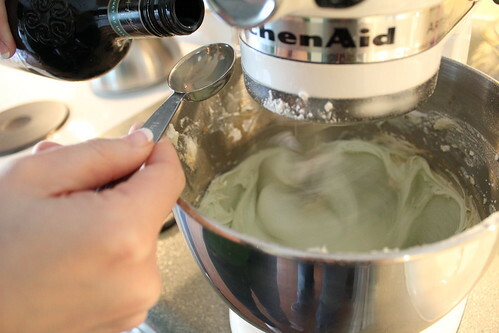 The next step is the icing, which is a simple butter cream. 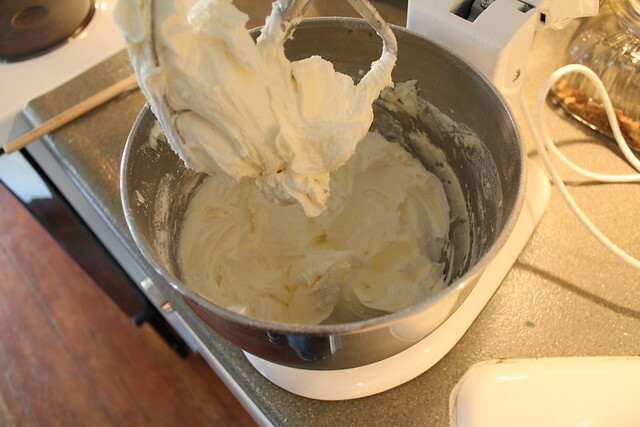 I had never made one before, but true to its name, you start with 2 1/2 sticks (yes, 2 1/2 more sticks) of room temperature butter in the electric mixer and whip it until it is a nice and even consistency. Follow that up by slowly adding the four cups of confectioners sugar a little at a time. Before you know it you've got some delicious butter and sugar...err, I mean icing all ready to go. 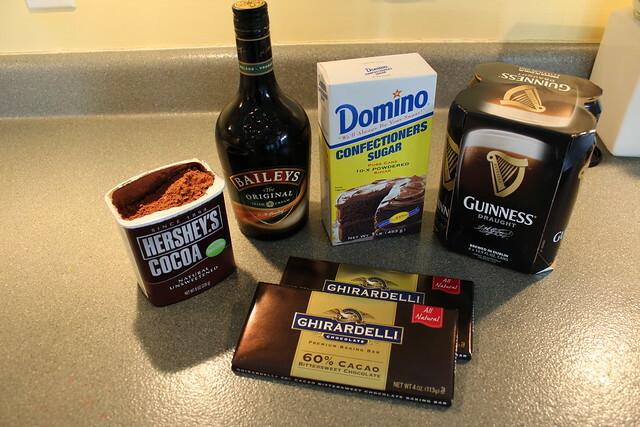 For this recipe, the final critical component was the addition of Bailey's Irish Cream into the frosting. Once it was all whipped together, I just added the eight to nine tablespoons of the Bailey's and mixed it a little more. 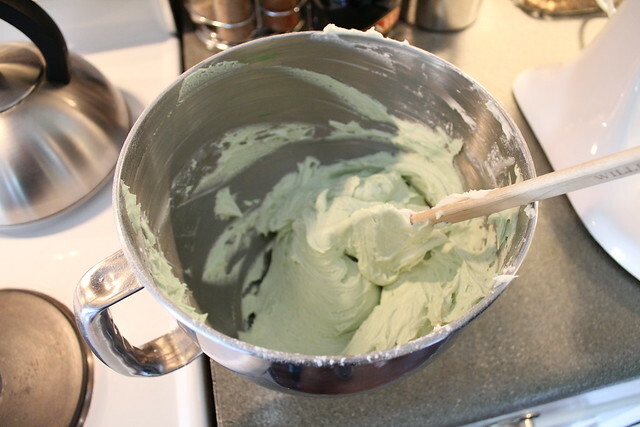 Finally, for the sake of the festivities, I added a little green food coloring to the icing to give it that subtle, "hey, I'm Irish, and I have alcohol in me for St. Patty's Day and I'm here to party" look. I broke out my cake decorating tips and quickly piped on some icing. The end result was a beautiful, delicious, festive, and alcohol laden cupcake that is absolutely perfect to celebrate a day when everyone is just a little bit Irish. 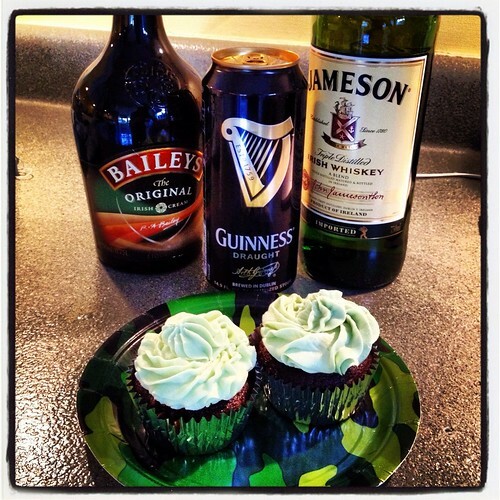 So there you have it, that's the story of my Irish Car Bomb cupcakes. They were far more difficult and time consuming (they took about two hours) than I had initially anticipated, but my efforts were validated when we arrived at the party. Why? The entire two tier tray of cupcakes had been snapped up and consumed by the house warming revelers within five minutes of our arrival. It made the whole thing well worth it. Would I do it again? I'm not sure. I'm a fan of the quick and easy recipes, as well as the cupcakes that don't include five sticks of butter, but I think it was worth it for the occasion. I think I would do it again if the right event came along and I could figure out some good ways to cut the time and fat. Maybe the next time St. Patrick's Day falls on a Saturday I'll give it a go and we can see where we end up. Did you do anything special to celebrate the day? Or perhaps you've done a little bit of over the top baking that you're quite proud of? Maybe it even involved a significant amount of alcohol (consumed during baking also counts). Leave us a comment and let us know. Thank you! Those cupcakes look insanely good (and I've never done filled cupcakes before). Your tutorial is great. I'm going to make them for my son's birthday in June because he's a big fan of a) chocolate and b)the ICB drink. Back when our local Irish pub was still in business (sob), he and I used to go listen to the folk singer whenever he was home on leave from the Corps. 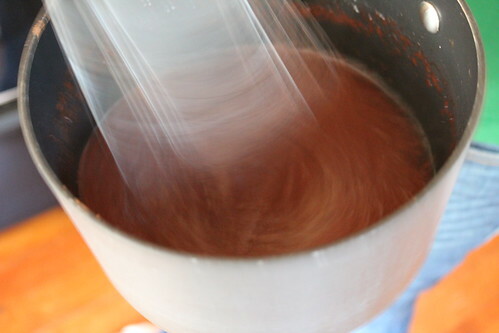 Newbie here, I've noticed in your baking posts that you tend to use Hershey's cocoa powder, you should really try Droste, it's by far the best cocoa I've been able to find. So...making cupcakes again? I know I am.